Today is NOT that day!!! I saw this picture over the weekend and it resonated with me something fierce. 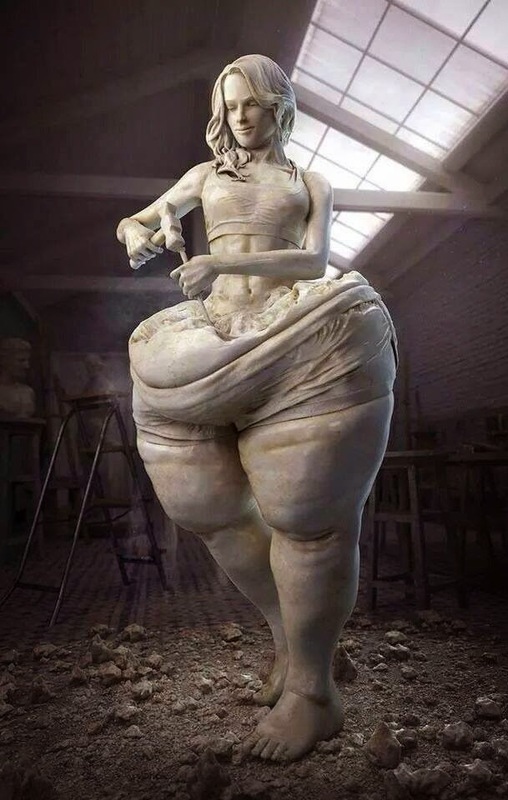 I feel like it is me, chiseling away at my "old" self. I have seen so many transformation stories on the internet and I have always thought to myself how awesome all of them are. I have also thought how brave, the thought of acknowledging my "before self” scares me. Well, here I go, I am finally in a place where I can share my before, although the picture is hard for me to look at, and I can celebrate where I am now. I can actually say that my weight was holding me back before, that I was not truly living. NOW I AM LIVING!!! My desire to start WHOLESOME & FIT came from my most recent weight loss journey, which began after having my second child in June of 2012. I began my journey with the desire to lose weight, to get my “pre-baby” body back, to drop 100 pounds. So far I have successfully lost 85 pounds and I have lost a total of 33.5 inches! Happy Dance!!! To be completely honest, I have plateaued, several times throughout the last two years. I have had huge weight loss weeks, no weight loss weeks, weight gain weeks. The truth is, however, I have had many “non-scale” victories. I’ve gone from a size 22 to a size 12, from wearing an XXL to wearing mediums (yes, mediums, not sure I have ever in my adult life worn mediums) and larges. In fact I am wearing the same size clothing, and some smaller than, I was wearing when I met my husband in April of 2004. I am currently on a weight loss plateau, I have been "stuck" at this weight for almost a year. I can't seem to get the scale to budge. However, I am trying to realize and tell myself that the number on the scale does not define me. I need to celebrate the non-scale victories, like the mediums and the 33.5 inches gone!!! Somewhere along my journey I had an epiphany – a major change in my frame of mind! I am not sure exactly when this happened, but it sent me down a new path. Now I love myself, with all my imperfections (and my perfections, too J) and I want to live a healthy, active, and fit lifestyle for the rest of my days. I am accomplishing my fit, healthy, awesome version of myself by eating as "clean" as possible and exercising a minimum of five days a week. My workouts range from 20 to 65 minutes long. They include running, walking, lifting, PiYo (Pilates / Yoga mixture of awesomeness), yoga, circuit training, at home cross fit, Pilates, and monthly challenges that I find on social media. As you can see I am not specific to one exercise to lose the weight. As long as I am active on a minimum of five of the seven days of the week, I am good. Although, I do find that if I don't run on at least 4 of the days I get a little "crazy" feeling, running is definitely my most favorite "me time." I eat gluten free due to having been diagnosed with Celiac 9 years ago, which used to be very hard. Nine years ago there was nothing but Fritos to eat J, no one knew what Celiac was and we had to research everything. But now everything is labeled, everyone knows what Gluten Free means and it seems like every food manufacturer is dipping into the GF market. With eating clean, I have recently cut out a great deal of dairy and sugars, which have made a huge impact on how I feel. The healthier I eat, the better I feel and the more energy I have. I am currently figuring out that I am fueling my body with food, not eating just to eat. I have not reached my goal weight, yet. I have another 15 pounds to go. After I reach my goal weight, however, starts the real work – maintaining my new weight. Through clean eating, regular exercise, and positive collaboration with like-minded individuals, I know I will reach my goal and maintain my new weight. I look forward to working with you, learning from you, and hearing your story. 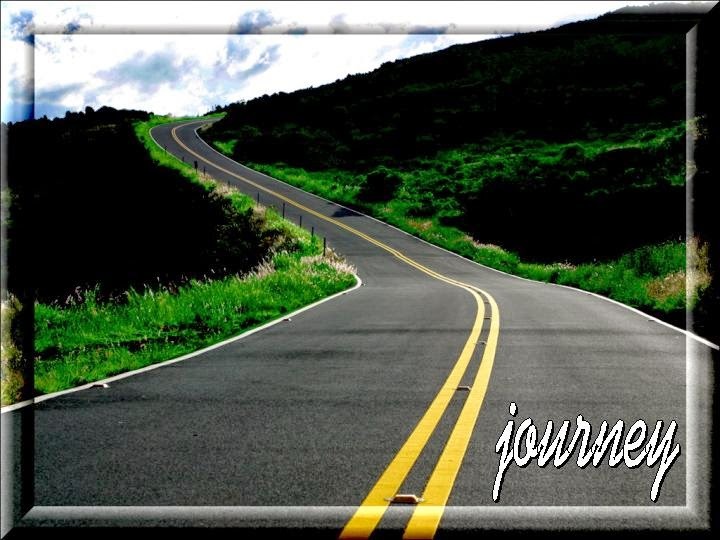 I invite you to join me on this journey and I hope it will become our journey! Ziggy Marley's Coconut Oil is AMAZING!!! There are many uses for Coconut Oil, you can use it on your skin, you can use it in your hair, you can oil pull to rid the body of toxins, and you can cook with it. Check out this 101 Uses For Coconut Oil Pin on Wholesome & Fit's Pinterest. I have tried a lot of different coconut oils, for all of the above listed uses. So far for cooking, Ziggy Marley's Coco'mon Original Coconut Oil is fantastic! Order yours today and let us know how you like it! Now, I have had some AMAZING “non-scale” victories and I am super proud of myself. I have lost 12 inches in the last 2 months doing PiYO, I reached my goal of wearing a size 12 pant which I accomplished in April of 2014, I am on my way to achieving my goal of 1 pull-up by the end of this year, I did 5 assisted pull-ups yesterday at the park, and I am getting some awesome muscle definition. I shared my new workout schedule last week, (http://wholesomeandfit.blogspot.com/2014/09/my-new-workout-adventure.html) and I woke up today fully charged and ready to tackle the day. 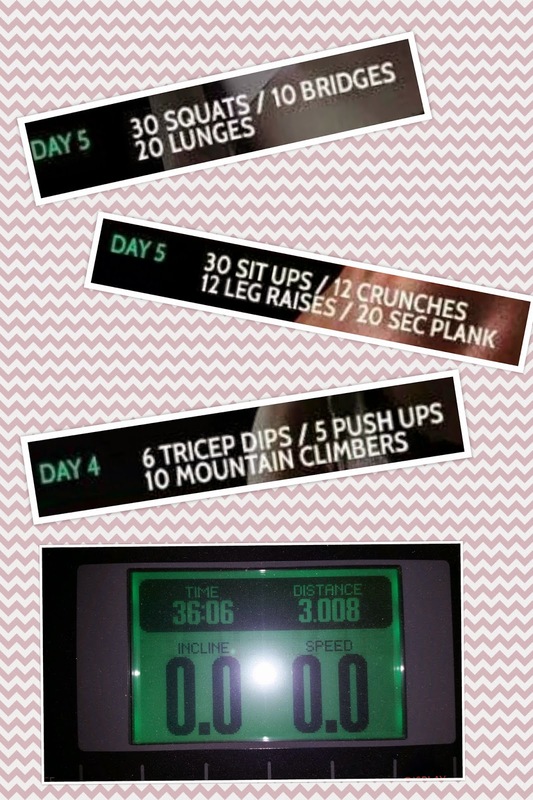 I got my 3 mile run in, in 32:55 on my treadmill, and did my PiYO Upper Body. I came in and got on the computer and saw this pin, and boy is it really hitting home with me! This is going to be my motto. Who else is going to jump on this bandwagon with me? I am also going to be tracking my calories burned on #myrunkeeper, and I am going to track my calories that I have eaten on #myfitnesspal. I hope to break this plateau soon, I want this last 15 pounds gone, forever :) Hopefully with my workout plan and my nutrition plan, I can BREAK through. Wish me luck!!! Starting today I am on a new adventure in my “world of working out”! 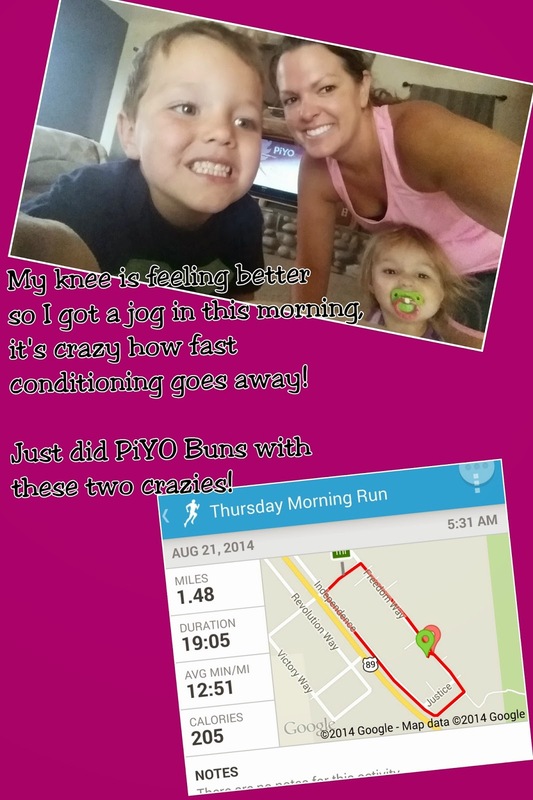 I just completed PiYO, and I absolutely LOVE the PiYO workouts!!! 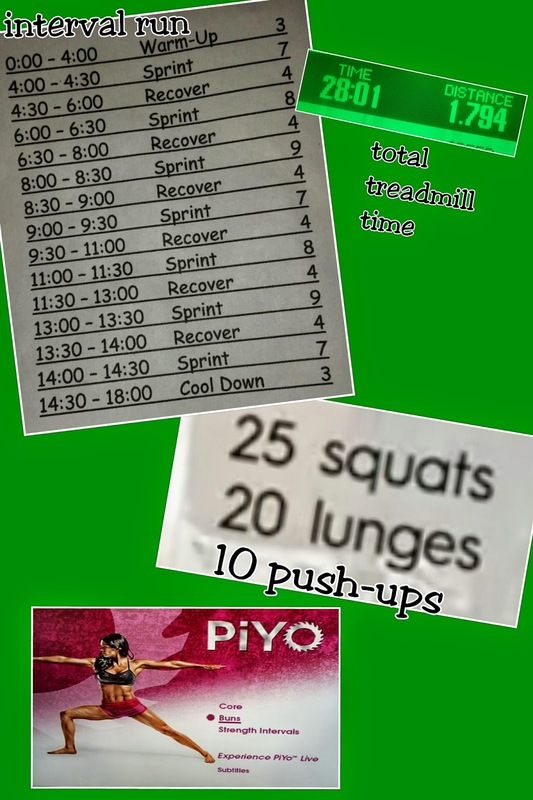 Yesterday was my last workout of the PiYO 2 month program. 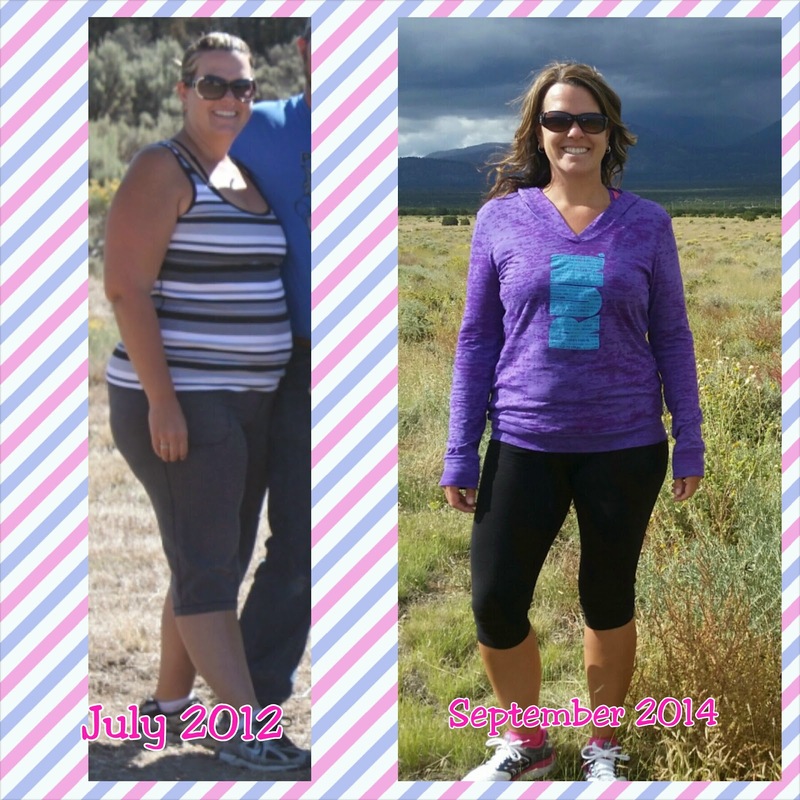 When I weighed in today I had lost 7 pounds and 12 inches, since the start of PiYO on July 8th, 2014. I am very happy with my success in the program. I LOVE how PiYO is low impact but really gets the sweat going. I have gained so much strength and confidence from doing this program. I haven’t always been a runner. However, I have come to love running and now I am a runner, I love running, I love how running calms me, and I love how I feel for the rest of the day after running. I put running on the back burner while I focused on my PiYO Challenge, which was ok, but now I need bring back my running. 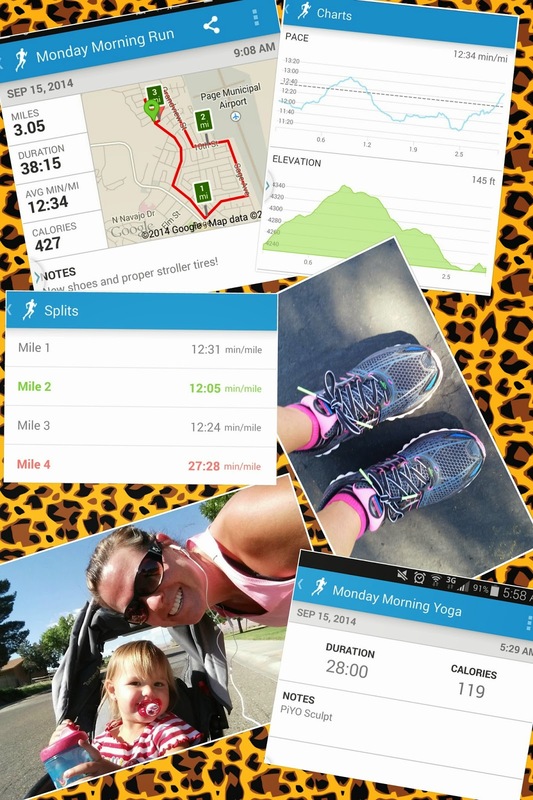 I am doing a 15k in December with a friend and I started training for it today. My plan is to run two days focusing on “going the distance”, to run two days focusing on “increasing speed” and to have a long run day where I increase distance every week, and a recovery run the day after my long run. I have incorporated PiYO into the mix with alternating between the Sculpt, Buns, Core, Sweat, Drench, and Upper videos. My goal is to work out two times a day (big plansJ) for four days of the week, a rest day, and then two other run only days. I have included my workout schedule in this blog for you to see if you are interested. My goal for the 15k is to complete it and have fun. I have not set a time goal, maybe that will change when I work up to running farther in my training, we will see. 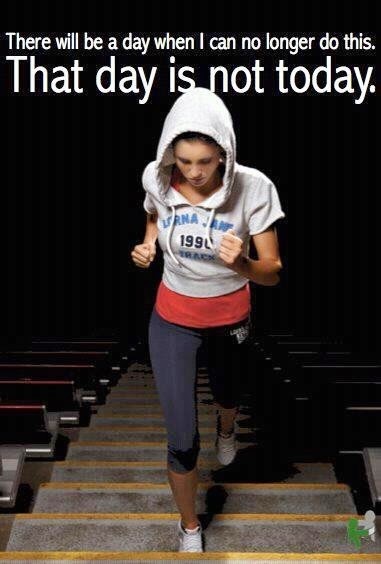 Bottom line - find a workout you love, create a plan, and GIVE IT YOUR ALL EVERYDAY!! !